Discussion in 'Rules' started by Royal, Feb 10, 2019.
permanent removal from the server. Logging out while being frozen or any attempt at deleting old files, deleting search history or modifying game will result in being permanently removed from the server as well as unable to purchase an unban from the server. You will also be banned if fail to meet up on discord. You are not permitted to record the screen sharing process. If you record the SS process you and all your affiliated accounts and IP will be banned from the server. Any client-side program, mod, or outside of the game feature or ability to gives an advantage over other players is not allowed. NOTE: depending on the severity of advertisement whether be spamming or linking, listing ips will result in a permanent ban. Using a glitch or exploit within the game to provide yourself, your faction or others an advantage will result in a ban from the server. NOTE: In cases of very serious exploits the resulting punishment regardless of the number of offenses will be a permanent ban - examples of this include but are not limited to duplication of items and punishment is at the discretion of Administration/Management. Anyone associated to the individual(s) duping may be in danger of being punished as well. 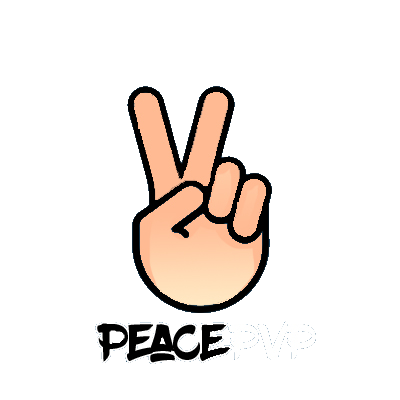 We hold true to certain values within Peace PvP and that is to be free of any negativity or toxicity or making another individual feeling bad. We do not appreciate and will not tolerate any racial slurs, discriminatory comments or prejudice. Further course of action may be taken depending on the severity and extent of impact done from the racism, discrimination, prejudice, discretion and final say is left with administration/management. Staff are volunteers that are here to ensure the server runs smoothly. They do not have the option of ignoring rule breakers. If you choose to disrespect or disregard them, you risk punishment. They are not here to abuse, they are here to keep the server running for everyone. This includes excessive trolling, name calling etc. We are a server for players of all ages. Offering yourself, or pictures of yourself, to any player or staff. Directing sexual gestures and phrases, towards others is not appropriate. This includes inappropriate builds and skins. Repeating the same phrases, flooding the chat, repeat or random characters (such as in making designs), writing gibberish or a collection of letters for the purposes of annoying others are all examples of spam as it pertains to this rule. This includes TPA Spam, private message spam, faction join spam and the like. NOTE: Starting/promoting spam in any means where it be a hashtag(considered starting spam) or baiting people to spam by saying “whoever to guess right # will get this” will be punished for spamming or even could be more severe. Any participation or actions are taken that deals with undervaluing the server or attempt at creating excessive lag through overpowered cannons or use banned cannons, thrashing/attacking server, etc. It will result in being permanently removed from the server. Scamming is not permitted on the server. Players misrepresenting items for sale, offering to give an item in payment for actions and not following through when able, bait and switch, are all examples of scamming. This INCLUDES renaming items as if they are something they are not (like mooshroom eggs, custom enchant books and the like) in the Auction House. Using alts to scam could result in a permanent ban. Spamming or advertising for "Wild PvP" in which players unclaim an area with the plan to claim on arrival of the other member can result in the same outcome. Using alts to avoid a harsher punishment could result in the removal of your accounts from the server. Attempting to trap with requests like "/tp for wild pvp" can result in an immediate 7-day ban, removal of your inventory, and/or a faction mute for your whole faction. In Real Life Money Scamming in which someone promises to purchase a server store item in return for favors in the game will result in a Ban. Scamming someone out of IRL Money is a perm ban. Period. Purchasing ranks for any player other than yourself or in trade for items in the game is not permitted. Players who agree to this type of transaction are placing themselves at risk. Chargebacks will result in a permanent ban from the server until the funds are repaid for a first-time offense only. Using alt accounts to make a purchase and chargeback will result in your account and all affiliated accounts being removed from the server as well may result in an IP ban. Initiating a Chargeback on a purchase may result in removal of your account, affiliated accounts, and IP from the server. Trading in-game items or an account with goods or a rank for paypal, or any outside compensation such as CSGO skins or items on another server is not allowed and will be punished for. If you choose to attempt to bypass a chat lock, it could result in removal from the server. Bypassing when staff are trying to communicate without interruption on something that is seen as important only undermines the server as a whole. Bypassing locked chat includes (but is not limited to) /bounty, disbanding factions, etc. 1st Offense: 5m - 60m temp ban from the server. Continued offenses could result in complete removal from the server. Factions are allowed a maximum of 20 chunks buffering their base. A 20 chunk buffer equates to 160 genned walls (just to put it in perspective for you). The buffer is measured from the EXTERIOR WALL OF YOUR BASE and does NOT include the base itself. If a faction reclaims that radius, the buffer faction, or the main faction risk further repercussions including, but is not limited to warning, ban, or disbanding of the faction. This means that aside from raid claims (cannon claims) from attacking factions you MUST have a minimum of 5 chunks of wilderness between your claims and the claims from another faction (even in the case of stripping your claims). You may not attempt to bypass this rule by having your "neutral" or "enemy" friends buffer your claims for you. As stated in rule 4: Racism, Discrimination, Sexual, and Derogatory Remarks, Impersonating staff, or words that are typically filtered on Peace PvP are examples of IGN's not welcome here. If a player is seen with an inappropriate IGN, they will be banned until they change their name and an appeal is submitted. This means you may not place TNT around your spawners to prevent them from being raided (or destroyed if you raid them). Trying to create unraidable spawners undermines the spirit of the game (this is factions after all). Players caught breaking this rule could be removed from the server. Bypassing a mute could result in removal from the server. Wait out your mute and follow the rules, it's really that simple. Logging in through another account while having an account banned will result in being ip banned from the server. Auto Cannoning is a bannable offense. It undermines the spirit of the game and player interaction/involvement. 20. Spawners cannot be water protected and you are NOT permitted to obby encase them. You may not exploit or try to find ways around this rule. Spawners are not permitted to be water protected, period. Do not encase tightly spawners in obsidian or any other uncreggable block. Try to find another means to encase your spawners in an attempt to undermine this rule or the spirit of this rule.